UK London based mining company Mineco Group invested almost 11million USD in their Bosilegrad mining exploration company Bosil-metal. The investments of Mineco and its Russian partners included the research of zink-lead locations in Bosilegrad municipality, the project research should be completed by march 2016. Bosil-Metal company director Miodrag Vukajlovic explained that for the construction of mining exploration facilities and opening of mine the investor planed another 15 million USD which means that the total investment would reach 25-30 million USD. Mining research activities in Bosilegrad started in 2010 with project documentation preparations as basis for design of geological research. 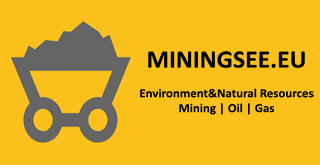 Research started in 2011 with mining operations and research drilling. In the beginning the activities included a number of subcontractors but now the company rely on its own resources. Beside the research and preparatory activities for mine opening the company is conducting the staff trainings and education. The intention is to utilize the local resources that will influence the local economic development of entire municipality and region explained Vukajlovic. The company realized so far the majority of geological research activities, in the Bosilegrad location of Karavanice completed more than 6500 meters of mine research procedures and 11.500 research drillings. With such amount of research activities we proved the sufficient reserve basis and now we can work on project and technical documentation for mine opening stated Vukajlovic. Preliminary analyses prove that Mineco Bosil-Metal have significant reserves and with that results the investor have the feasibility arguments for mine opening. Parallel with mine opening preparation activities Bosil-Metal Mineco conducts the feasibility analysis for the construction of mine processing plant which would allow the cost benefit refined commercial concentrate. Once the research activities are completed in 2016 the investor plans to start preparation of feasibility business case analysis with estimated work scope, size of mining capacity, labor and scope of production explained Vukajlovic. Currently Mineco owned Bosil-Metal Company employs 75 workers which are currently engaged on research activities for future production which would require 250-300 miners for full production capacity. The strategy of the investor UK company Mineco Group is to rely on local resources and workers, obviously mining operations will influence the Bosilegrad municipality overall development confirm the city officials. Mining exploration fee would amount 5% of total sold materials and in addition the new mine company would be a significant local tax payer and employer. Mineco Bosil-metal is obliged to design the mine operations in line with local nature and environment landscape. All facilities will be designed and constructed under strict European standards, explain from Bosil-Metal company, adding that permits will depend on the quality of environment policies and standards which will be applied in the mining complex.